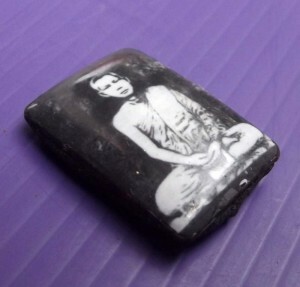 The Locket of Luang Phu taep Loke Udorn is empowered with hefty Metta Mahaniyom (Recieve Biased Preference), Jerajaa Kaa Khaay (Business sales and Discussions) and Choke Lap/Siang Choke (Lucky Windfalls) magic. Stuffed with Pong Mongkol Solos Sacred Powders and with Takrut Spell insert, and semi precious Sacred gemstones with Incantations in them. 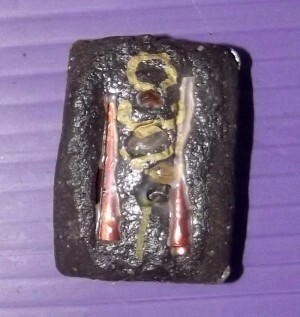 The rear face has one Takrut Solos and one Takrut Sariga Lin Tong inserted and some ‘Ploi Sek’ (semi precious Enchanted gems). 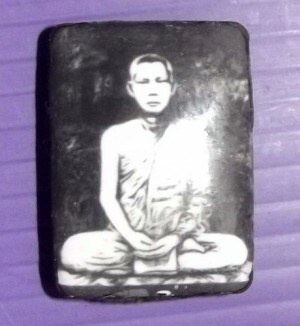 The Wicha Used for this edition of amulets uses purely Wicha from Luang Phu Taep Loke Udorn, which was passed down to Luang Phu Tong as sole inheritor from Luang Phu Yai, who in turn got it from Luang Phu Yen. Luang Phu Taep Loke Udorn gave the method of his Wicha to Luang Phu Yen and Luang Phu Yai, who passed it then onwards to Luang Phu Tong, who is now the sole Holder of the Wicha.